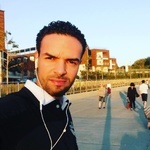 I am Kamal Boughanja from Casablanca, Morocco. • I have a solid 8 years in customer support roles in multinational companies like Orange, Govoyages. • I strive for excellence and Growth. • I provide exceptional contributions to customer service for all customers at all times. • I am skilled in customer service relations , Managing Potential Clients , all admin stuff. • I am flexible and available almost any time you would need me to work.